Inactive ingredients include calcium sulfate, corn starch, flavor, hypromellose, iron oxide, magnesium stearate, polyethylene glycol, povidone, and titanium dioxide. Establishing the diagnosis of primary hyperaldosteronism by therapeutic trial. Short-term preoperative treatment of patients with primary hyperaldosteronism. Long-term maintenance therapy for patients with discrete aldosterone-producing adrenal adenomas who are judged to be poor operative risks or who decline surgery. It can be used as a kind of inefficient diuretic drugs. It is a synthetic 17-lactone steroid which is a kind of renal competitive aldosterone antagonist in a class of pharmaceuticals called potassium-sparing diuretics, used primarily to treat ascites in patients with liver disease, low-renin hypertension and hypokalemia. The active metabolite of lactone (spironolactone);. It can be used for the Inhibition of aldosterone biosynthesis It can also be used as the blocker of the Quabain effect. Spironolactone is a synthetic 17-lactone steroid which is a renal competitive aldosterone antagonist in a class of pharmaceuticals called potassium-sparing diuretics. On its own, spironolactone is only a weak diuretic, but it can be combined with other diuretics. Due to its anti -androgen effect, it can also be used to treat hirsutism, and is a common component in hormone therapy for male-to-female transgendered people. Spironolactone inhibits the effect of aldosterone by competing for intracellular aldosterone receptor in the distal tubule cells. This increases the secretion of water and sodium, while decreasing the excretion of potassium. Spironolactone has a fairly slow onset of action, taking several days to develop and similarly the effect diminishes slowly. Spironolactone is a specific pharmacologic antagonist of aldosterone, acting primarily through competitive binding of receptors at the aldosterone-dependent sodium-potassium exchange site in the distal convoluted renal tubule. Spironolactone causes increased amounts of sodium and water to be excreted, while potassium is retained. spironolactone acts both as a diuretic and as an antihypertensive drug by this mechanism. It may be given alone or with other diuretic agents which act more proximally in the renal tubule. Aldosterone interacts with a cytoplasmic mineralocorticoid receptor to enhance the expression of the Na +, K + -ATPase and the Na + channel involved in a Na + K + transport in the distal tubule Spironolactone bind to this mineralcorticoid receptor, blocking the actions of aldosterone on gene expression aldosterone is a hormone;.. its primary function is to retain sodium and excrete potassium in the kidneys. 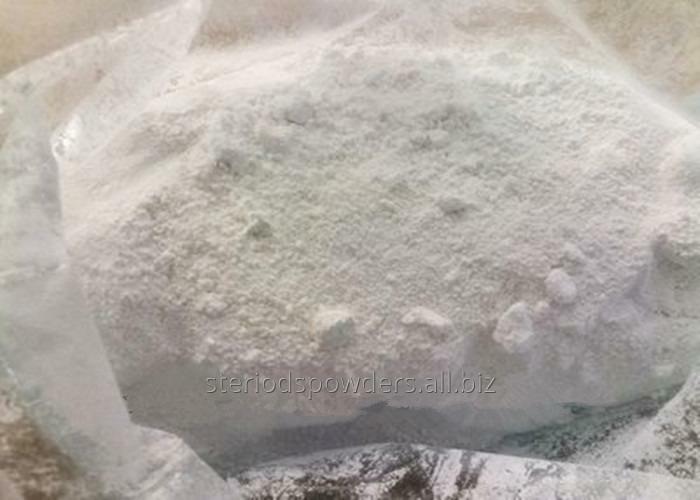 Our company is a professional leading factory in China in pharmaceutical area, ach batch of steroid powders have to tested by our QC (quality control) department before they are allowed to sell. Western Union, Money Gram, T / T, Bitcoin as your convenient. We are one of the leading manufacturers and exporters in China. We specialized in fine chemical, flavor, food additive, pharmaceutical and intermediates. If you have any questions of our products that you are interested in, please contact as without hesitate.